This hoya comes from Sulawesi and it was described in 2001. 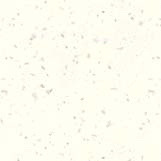 It's also sold as Hoya incurvula, which was described in 1916 by Schlechter. Which name is the right one... Well, the jury is still out on this one! Until they have their "verdict" I'll just leave it here. Hoya brevialata is best grown as a hanging plant. It is said to be a fast grower so a fairly large hanging pot would be best. The leaves are hard, somewhat curved and slightly pubescent both on top and underneath. The leaves are mostly almost round, a little oval and about 2-4 cm long and 2-3 cm wide. I found leaves on my plant that were really narrow and about 6 cm long and about 2 cm wide. These narrow leaves "matches" better the hoya that is said to be H. incurvula. Are they really two different species...? The leaves have no visible veins and mostly only a few spots. My plant had one vine with really spotted leaves. The flowers are really cute. Almost ball-shaped (about 6 mm) with beige corolla and yellow/read corona. They have a vague fragrance of butter scotch/caramel and they don't seem to produce much nectar. You'll find anything from 15-30 flowers in an umbel. The flowers last about one week. 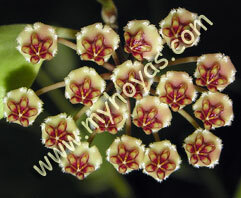 This is a hoya that is said to flower both willingly and often and it's true!